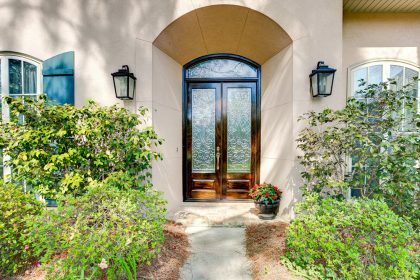 Sometimes, the front entrance to a home is just that, an entrance. The design of the home is such that you notice the entire home design and the door fits in perfectly. 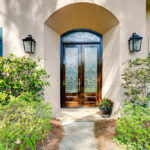 Other times, the design of the home draws your eye towards the front door. When the front door is the focal point of the home, that door needs to be nothing short of a grand entry! 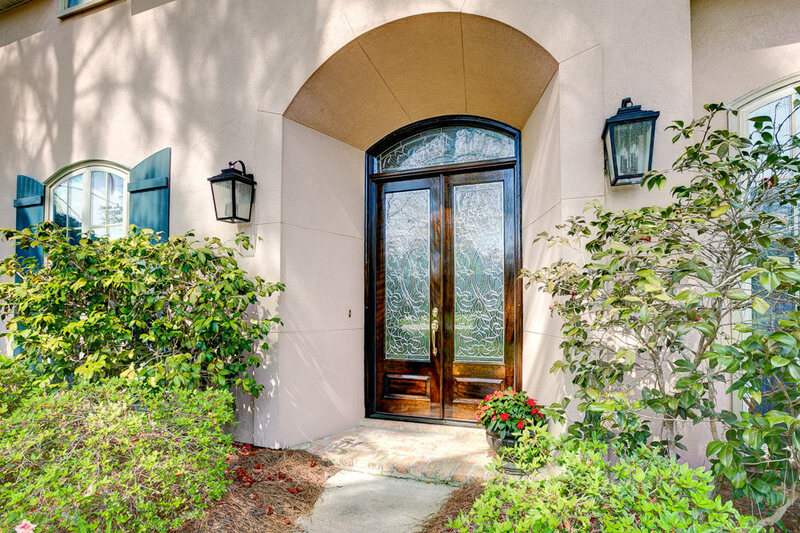 A recent client in Mandeville was looking to replace their old, faded and leaking doors with a new set of doors. But they were having no luck finding a door that was not only suitable for their home design, but also would fit the custom size they needed. 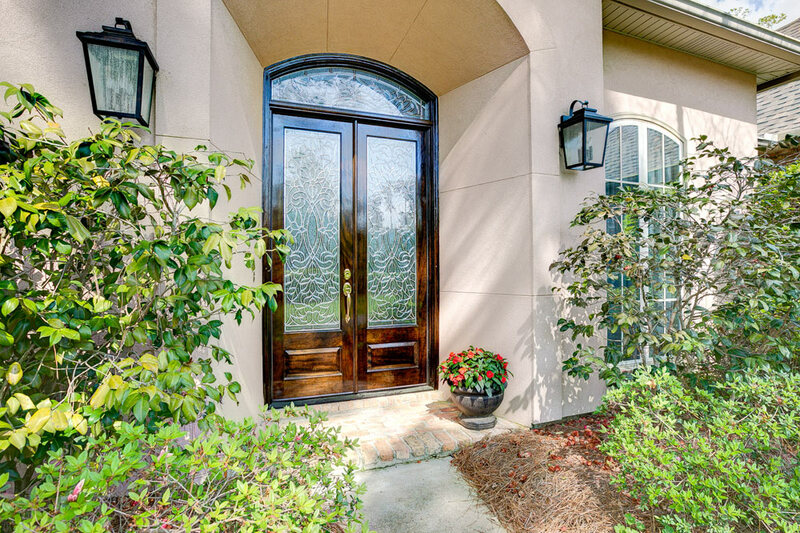 The clients chose a custom made leaded beveled glass door with matching transom. The results speak for themselves:! This set of custom 8’ doors features glue chip/frosted glass which helps with privacy and gives you a fully beveled look. In this case, the client chose zinc caming (the metal strips that connect the glass panels) with the bevels that makes it stand out gives it the silvery color. Black caming tends to make the design stand out more, whereas silver makes the beveling stand out more. 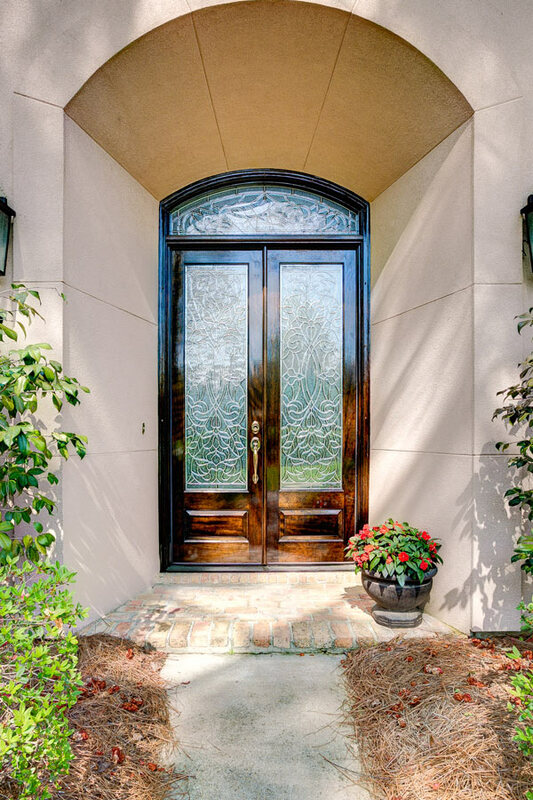 The doors are a stained mahogany and fitted with a custom transom to match. 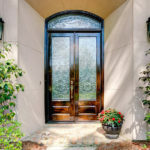 Wondering how we make a custom transom like that? We create a template of the opening and have glass custom made to fill it. The glass matches the doors underneath. The fun part is that we have dozens of glass designs to choose from when you choose beveled glass. Or sometimes you can customize one just for you. Custom designed doors are a lot of fun to work with. If you can’t find what you’re looking for in a catalog or on the shelves at another store, come see us. 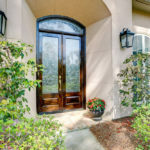 There’s a good chance we can help you find or simply make the perfect door for your home’s grand entrance!